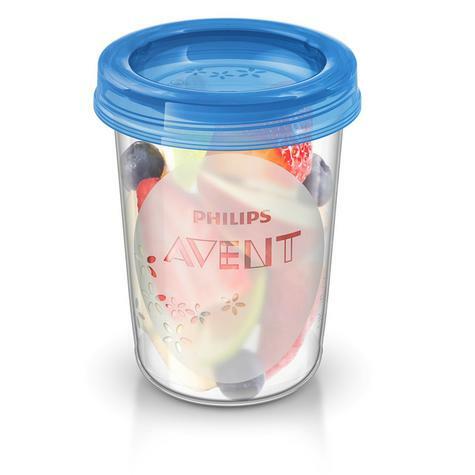 Philips Avent Baby Food Storage Cups are a convenient way to transport and store your baby food at home or on-the-go. The stackable cups include a leak-proof, twist-on lid for safe storage and transport and you can feed baby straight from the cups via a teat adapter. Sbreimply attach the cup to the pump with an adapter and express - with no need to transfer milk to another container. 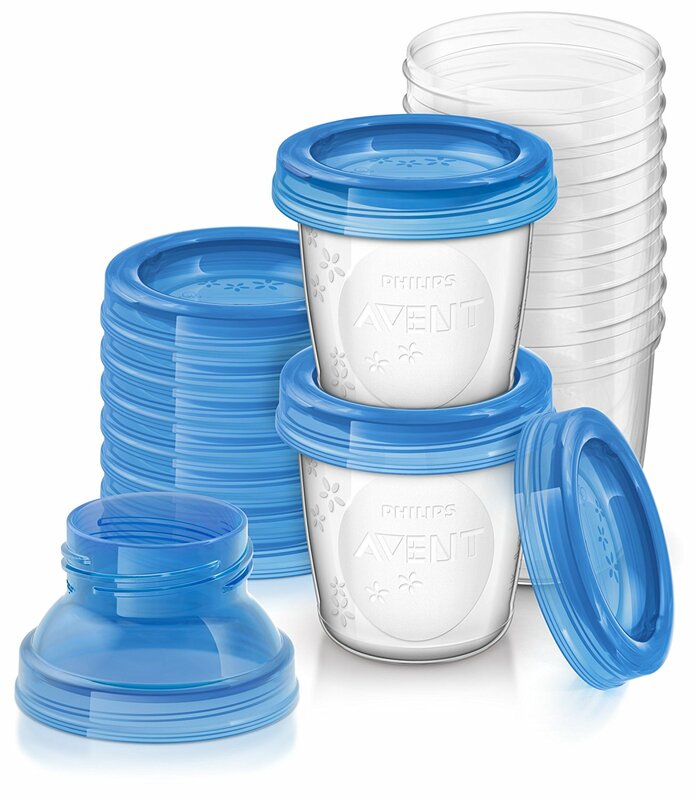 The cups are sterile-packed for immediate use. They can be re-sterilised, then disposed of when showing signs of wear and tear. 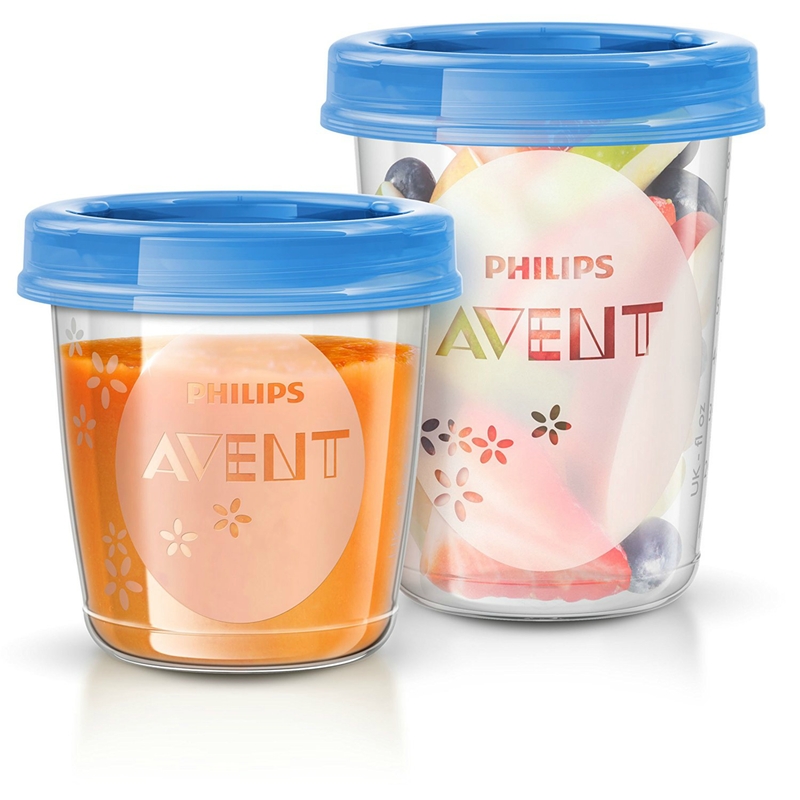 The cups can also be written on which helps to track dates and contents. 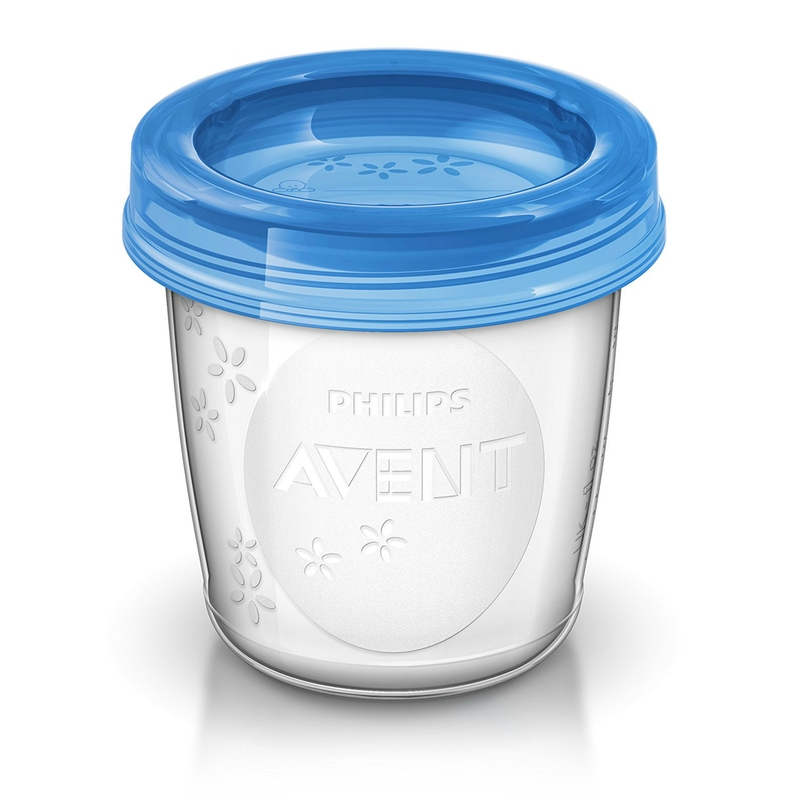 The included weaning spoon has a gentle tip, so it’s gentler on your baby’s gums. 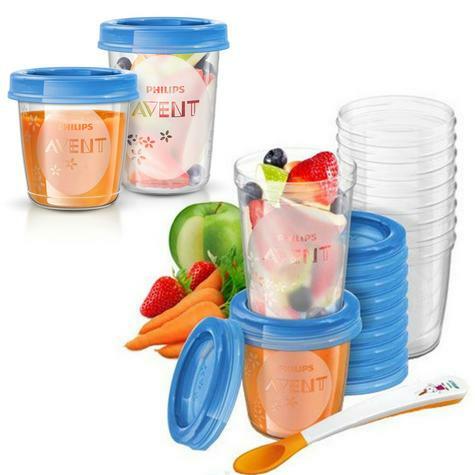 Plus, with a long-reach handle the spoon is ideal for parent’s hands. 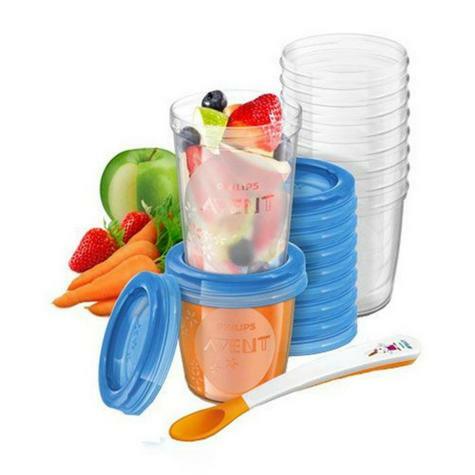 With an anti-slip grip, the spoon rests on the side of a bowl without sliding, leaving more food in the bowl and less on the floor. 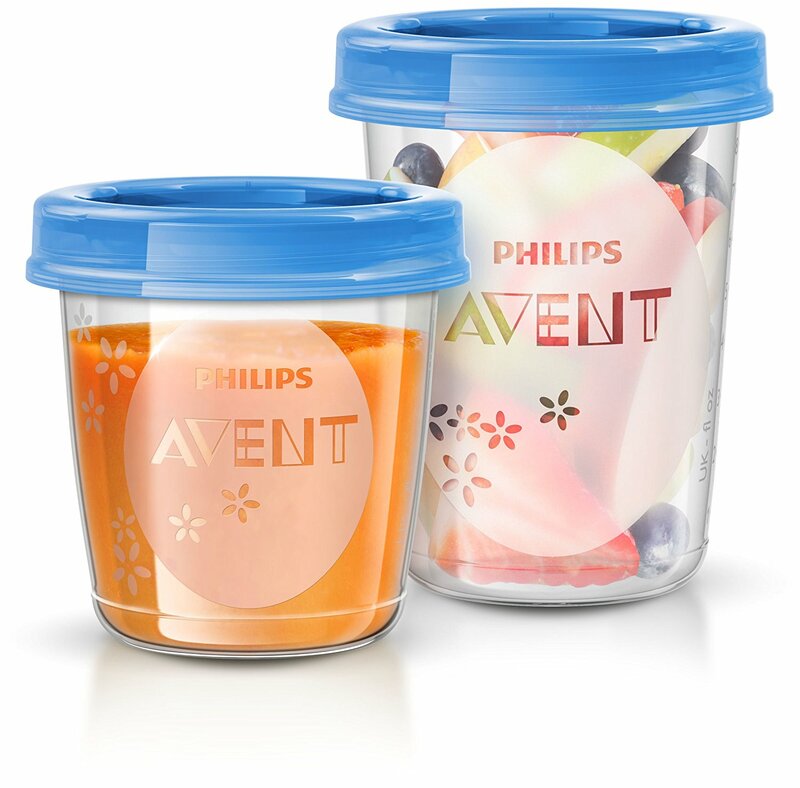 Philips Avent Storage cups therefore offer a versatile, BPA-free, space-conscious storage system designed to grow with your baby.